The Unfinished Conversation, 2012. Three-screen installation, HD video, colour, sound, 45 mins (detail of still). Courtesy the artist and Carroll Fletcher. Stuart McPhail Hall (1932-2014) arrived in Britain from Jamaica as a student in 1951 and, by 1968, had become a key architect of cultural studies and one of Britain’s foremost public intellectuals. A founder of the New Left Review in the 1950s, Hall joined the Centre for Contemporary Cultural Studies at Birmingham University in 1964 and became director there in 1968. Hall believed identity and ethnicity not to be fixed, but to be the subject of an ‘ever-unfinished conversation’. 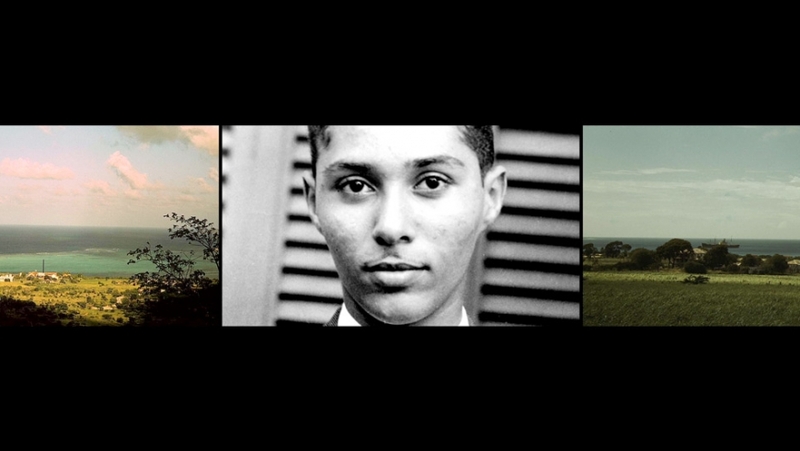 In The Unfinished Conversation, artist John Akomfrah interweaves archival imagery of Hall with news footage from the 1960s and 1970s, all overlaid with a stunning soundtrack incorporating the writings of William Blake, Charles Dickens and Virginia Woolf; Jazz and Gospel music. The Unfinished Conversation is an Autograph ABP Commission and was produced by Lina Gopaul and David Lawson, Smoking Dogs Films, in collaboration with Professor Stuart Hall.